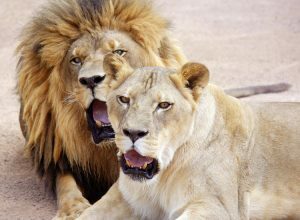 Las Vegas animal attractions are an ideal choice if you are looking for fun, family-friendly entertainment. The list of animal attractions below offers the opportunity to explore unique habitats, as well as interact with a variety of exotic and aquatic animals. 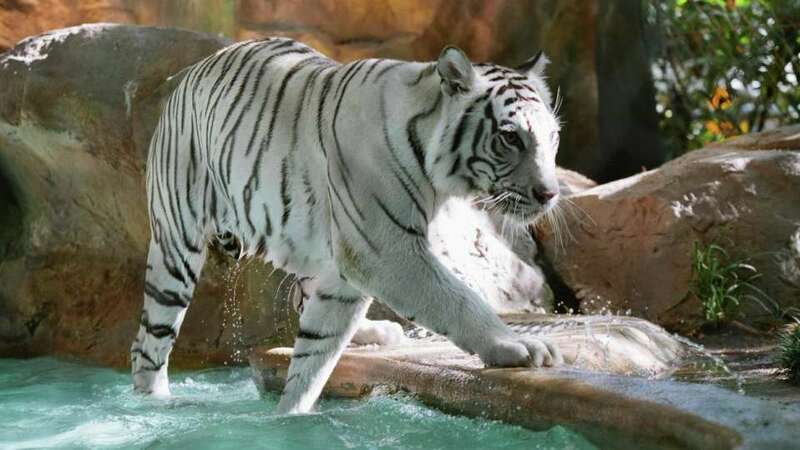 Siegfried & Roy's Secret Garden and Dolphin Habitat at The Mirage is a Las Vegas animal attraction that brings you face-to-face with White Lions, White Tigers, Black and Spotted Leopards and a family of Bottlenose Dolphins! Explore the Secret Garden on a path surrounded by palm trees, lush tropical foliage, and the roars of the jungle. You can interact with nature's most exotic animals in this enchanting world. 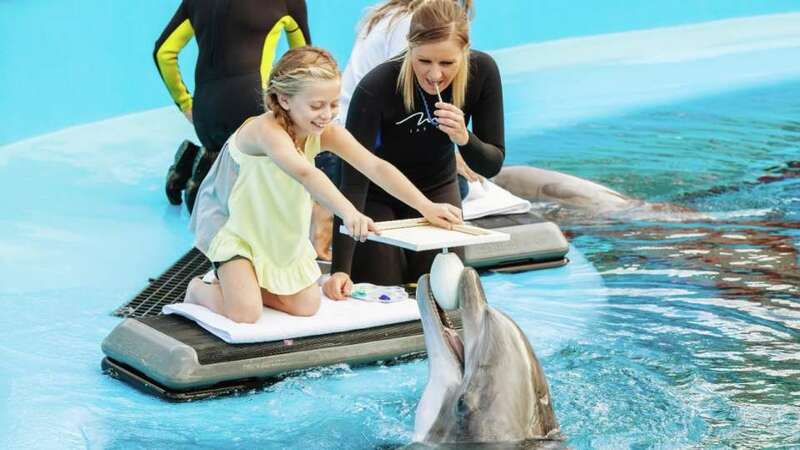 Get even closer with exclusive experiences, including a behind-the-scenes VIP tour, Trainer for a Day, Painting with the Dolphins, and Yoga with the Dolphins. The Lion Habitat Ranch is home to the lions that were previously on exhibit at the MGM Grand’s Lion Habitat (closed in 2012). 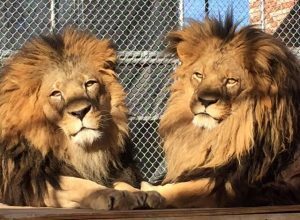 The lions live on an 8.5 acre ranch (approximately 12 miles outside of Las Vegas) where you can watch the animals romp, play and roam free with their cubs, as well as learn fun and fascinating facts. At this Las Vegas animal attraction, visitors are transported to an undersea ocean of amazing sights, sounds and encounters. Featuring dangerous and unusual aquatic animals from the world's tropical waters, Shark Reef Aquarium takes visitors on a journey through an ancient temple slowly being claimed by the sea. Fourteen breathtaking exhibits are devoted to dangerous aquatic predators. The largest exhibit is the 1.3 million gallon shipwreck where visitors experience an almost 360-degree view, teeming with sharks and fish, through an acrylic tunnel. The Touch Pool is a popular attraction, where guests can touch an ever-changing collection of animals including sharks, rays or horseshoe crabs. More than 2,000 animals are displayed at Shark Reef Aquarium, over 100 different species and featuring 15 species of sharks. 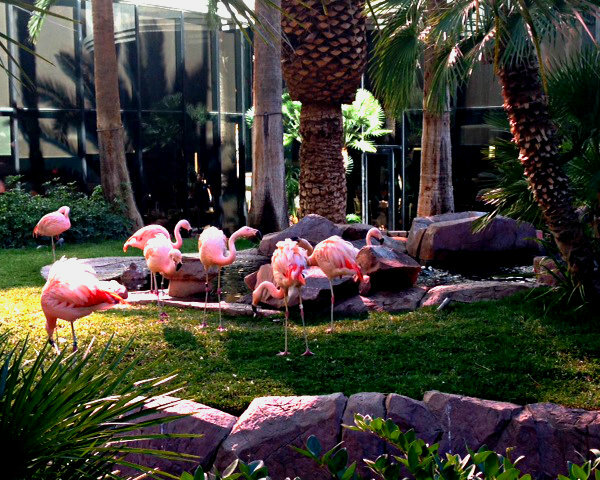 Flamingo's Wildlife Habitat Las Vegas animal attraction is free of charge and open to the public daily. A serene paradise on the Flamingo hotel's lush 15-acre grounds, the Wildlife Habitat is stocked with exotic birds, fish and turtles. A highlight is the Flamingo Island, home to a beautiful flock of Chilean flamingos. Glimpse a colorful collection of other feathered friends such as Ring Tealed ducks and Sacred Ibis throughout the tropical Habitat. In addition, you'll find swans, ducks, koi fish and turtles living within. Two brown pelicans joined the habitat from a pelican rescue in 2012. All animals are carefully maintained. The species frolic on islands and streams surrounded by sparkling waterfalls and lush foliage. Spot hummingbirds zipping to their feeders, snap a few pictures of signature flamingos and watch the water animals at feeding time. Watch the sharks swim while you swim in the award-winning pool, or relax poolside with a refreshing cocktail. You can also admire them from the large windows of one of the Golden Nugget restaurants while sipping on a drink and enjoying a delicious meal. Take a behind-the-scenes tour of the Golden Nugget Shark Tank Aquarium. This Las Vegas animal attraction tour conducted by staff marine biologists shows you the inner workings of the incredible 200,000 gallon Las Vegas shark aquarium. Learn what the sharks and fish dine on and how the feeding process works. You’ll even go home with a souvenir shark tooth! This unique Las Vegas Tour is interesting and fun for the whole family. 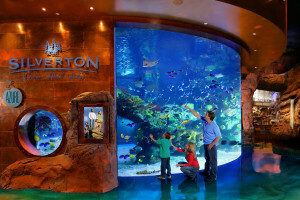 The Silverton Casino Saltwater Aquarium holds more than 117,000 gallons of water, and is home to thousands of tropical fish, three species of stingrays, and sharks. Don’t be surprised if you see live mermaids swimming and interacting with guests. The staff marine biologist is equipped with a full-face communication mask and answers guests’ questions during the feeding show. In addition, the Mermaid Lounge features two 500-gallon jellyfish aquariums lit with LED lights. Be sure to visit the fresh water aquariums located on-site at the Bass Pro Shops. 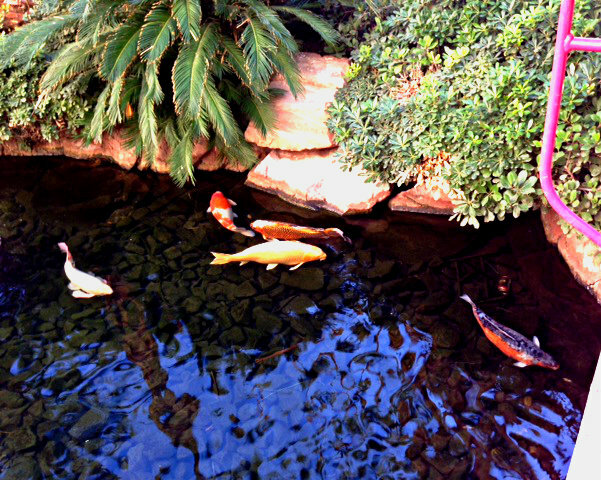 An 18,000 gallon water feature simulating Red Rock Canyon’s beautiful rock formations is filled with spectacular live Koi. Three additional aquariums at Bass Pro Shop feature trout, channel catfish, carp and bass and include a flowing canyon river featuring ducks, turtles, bluegills and sturgeon.